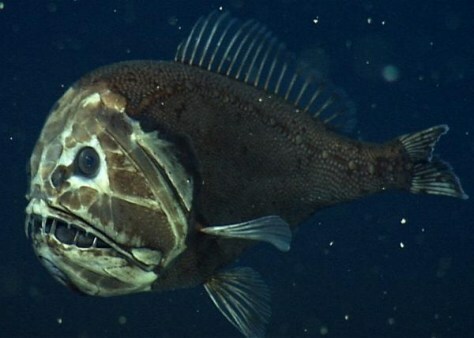 A fangtooth, photographed at about 2,600 feet (800 m.) in California's Monterey Bay. This fish's fierce appearance belies its size — it's only about 5 inches (12 centimeters) long. But thanks to its huge mouth and teeth, a fangtooth can grab and eat fish and squid almost its own size.